I was recently contacted by Strand of Silk who wanted to tell me about their Indian wedding outfit generator. I must admit that I was dubious at first. However once I spent some time playing around with it I quickly changed my tune. Putting it simply, the outfit generator is great and makes the task of figuring out what to wear for each of the many wedding ceremonies SO much easier. I have so far attended three Indian weddings, so am still a relative newbie. 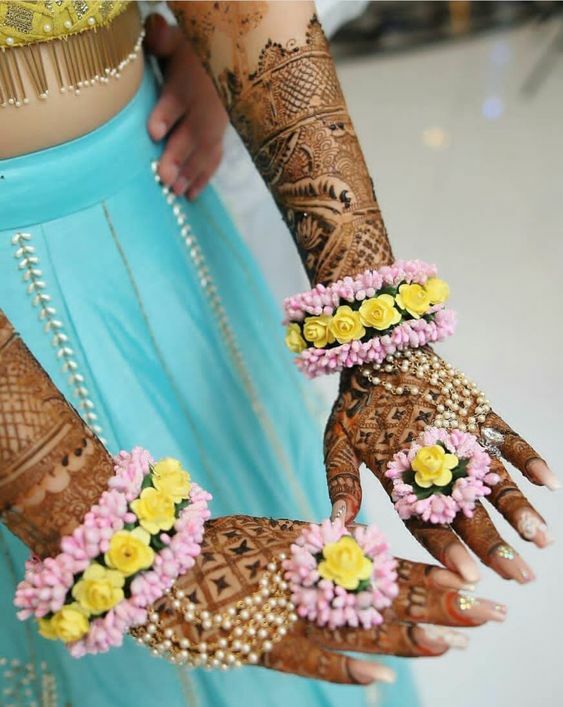 Preparing for an Indian wedding as a guest can be very overwhelming and stressful. It has always amazed me that more attention hasn’t been paid helping guests choose their outfits. 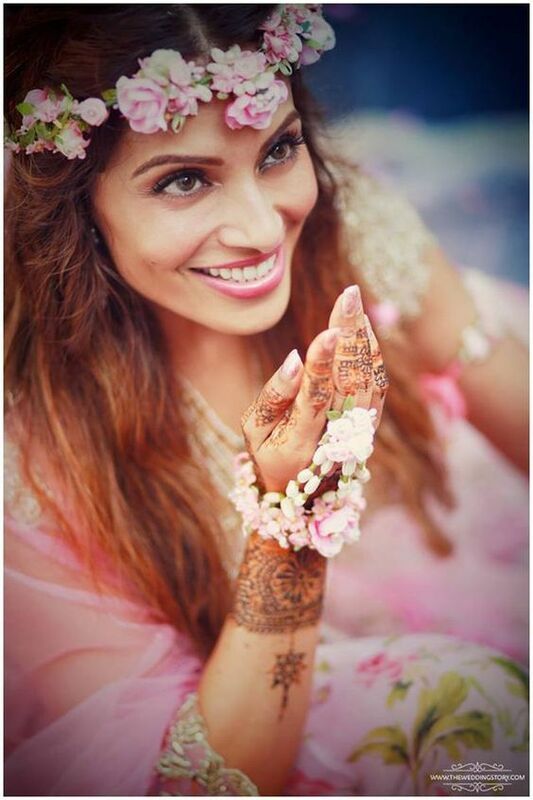 I was personally very lucky when it came to my first Indian wedding because I had some incredibly helpful and patient friends – all with a great fashion sense – to help me along the way. However, even if you have someone who can talk you through each of the ceremonies and take you shopping, you still have accessories to think about. This is what is so great about this outfit generator – it explains what happens at each of the ceremonies, gives practical styling tips and makes sure you know what items of clothing are not appropriate to wear! 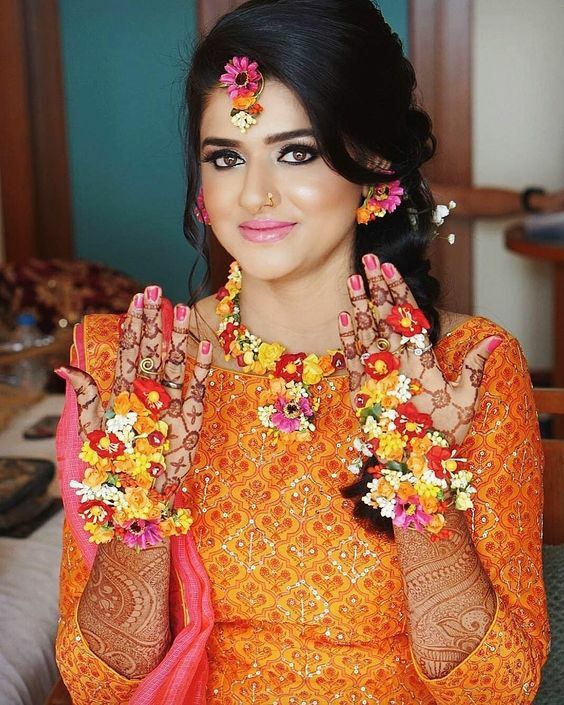 The Indian wedding outfit generator covers the Engagement ceremony, Haldi ceremony, Mehendi ceremony, Sangeet ceremony, Baarat ceremony, Wedding ceremony and Reception. What’s more it isn’t just aimed at female guests, but also has male guest, family of the couple and bridesmaids covered too. Along with styling tips, the page also contains several lookbooks which serve as great inspiration and a series of related blog posts in-case you feel you need even more information. The Indian wedding outfit generator is incredibly easy to use. All you have to do is select who you are and which ceremony you are going to and the styling tips, lookbooks and blog posts will appear. If you like the products you see, you can purchase them straight away with a simple click that takes you straight to the product page. 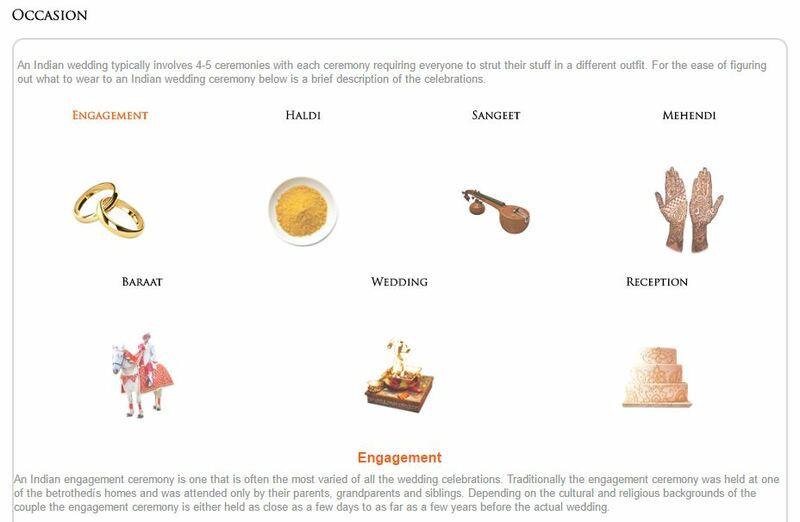 For anyone attending an Indian wedding for the first time, this page is invaluable. 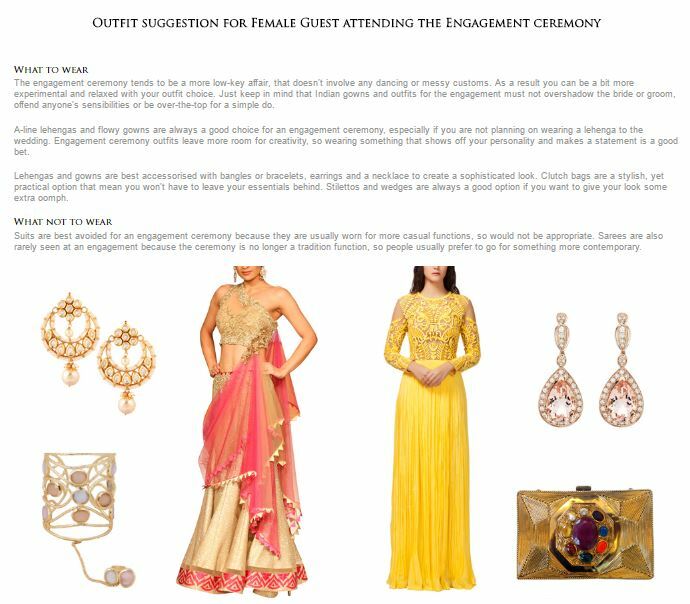 I do however also think that this page is very useful for the most seasoned Indian wedding goer, because the lookbooks (outfit suggestions) and blog posts are a great source of inspiration. If you do try out the Indian wedding outfit generator, I’d love to hear what you think of it! A wedding day is the most crucial day of one’s life. And why not, we imagine getting hitched to our right life partner all our lives. 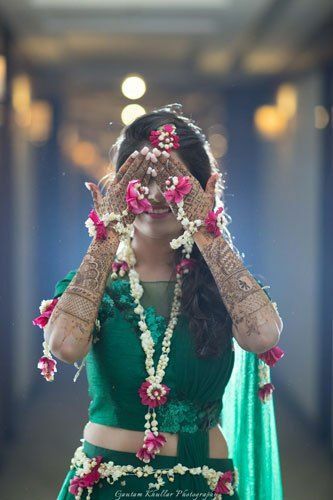 When the D-day arrives, we want everything to be picture-perfect from bridal wear to jewellery, food to decor, venue to weather, so we can have the memories of a lifetime. 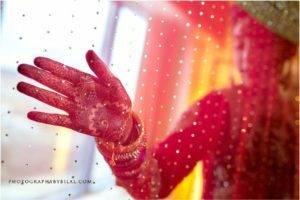 We want THE Indian wedding photography! Thankfully to capture these beautiful moments of our lives, we can resort to Indian wedding photography. Photos serve as a great memory and reminder of this once-in-a-lifetime event. A wedding photo album is something you can treasure long after it is over and pass onto your children so together, you can take a stroll down memory lane. Keeping this in mind, ‘Photography by Bilal’ swears to deliver just that. The aim is to get a series of natural and emotive photos that illustrate your unique wedding story every time you look back at them. A good photo can bring back all the emotions and excitement you had at that moment, which is why wedding photography is such an important part of your wedding. Nowadays, wedding photography is not just about the wedding day but includes a complete range of pictures that carries all your pre and post-wedding functions. 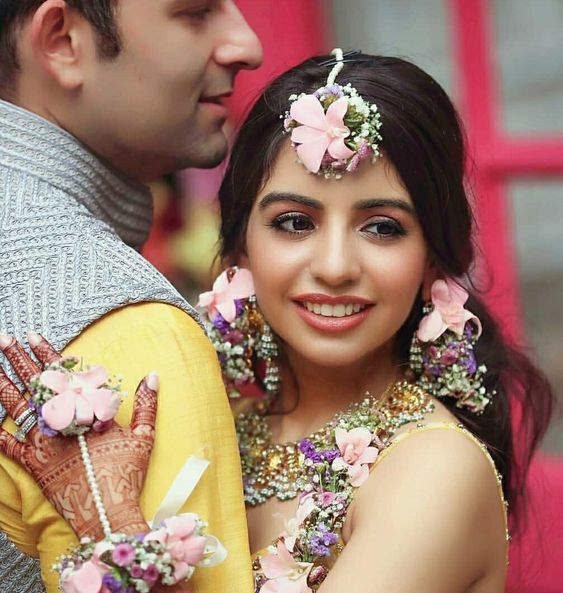 The trend of getting a pre-wedding couple photoshoot done is very popular among modern Indian couples, who seem to be relishing getting their candid and artistic photoshoot done. These types of photoshoots do not include simple portraits but instead tell a story and capture the atmosphere and emotion of the day. 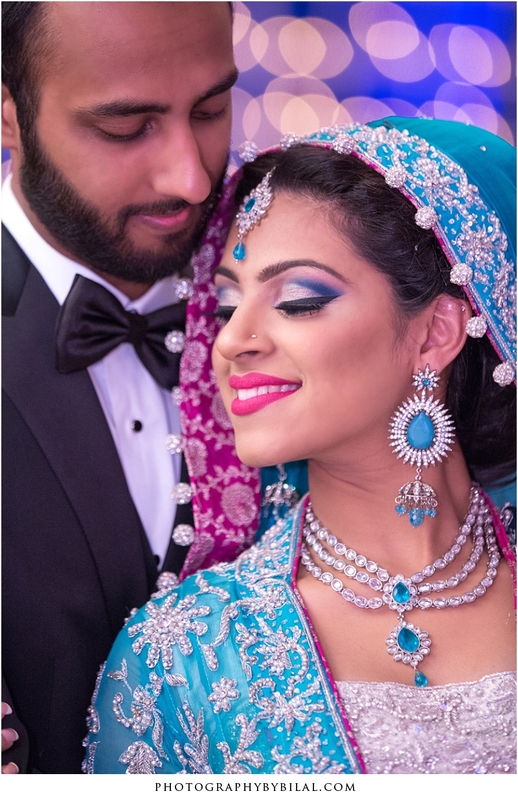 So, without further ado, let’s look at some of the stunning bridal photoshoots, taken by wedding photographer Bilal. 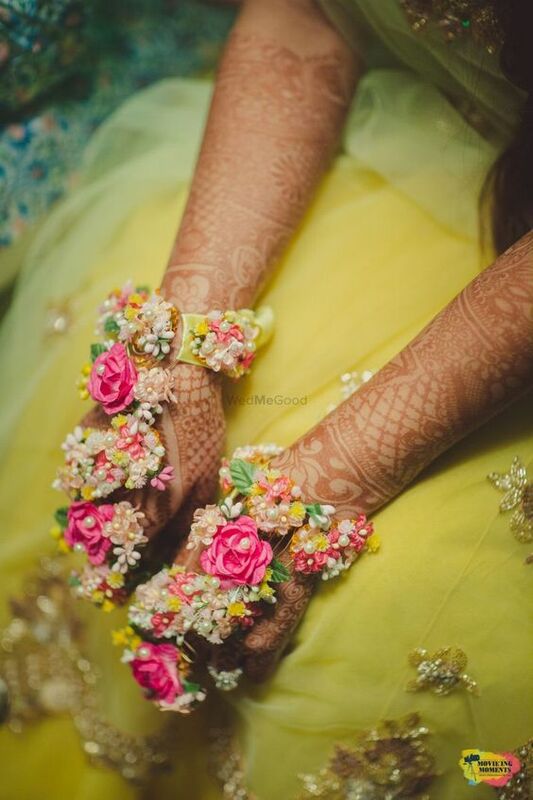 This picture is a sure-shot winner when it comes to depicting the mehendi design in an unusual and striking way. 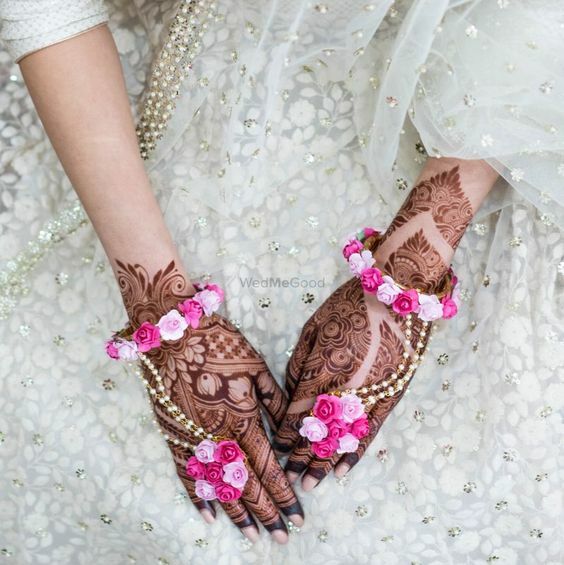 The way the mehendi-laden hand of an Indian wedding bride is viewed through a sheer curtain of a dupatta portrays the intricate design in all its beauty. Anyone can click a simple picture but it takes passion and talent to get a picture like this. 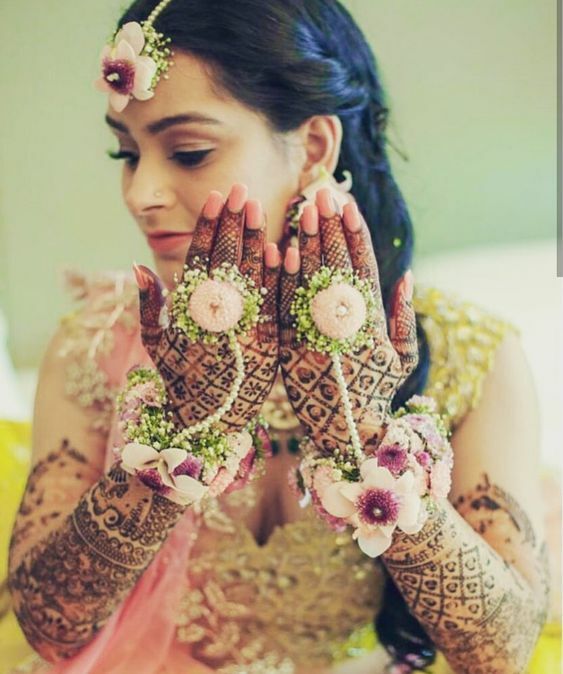 This picture illustrates the epitome of grace and elegance of an Indian wedding bride. 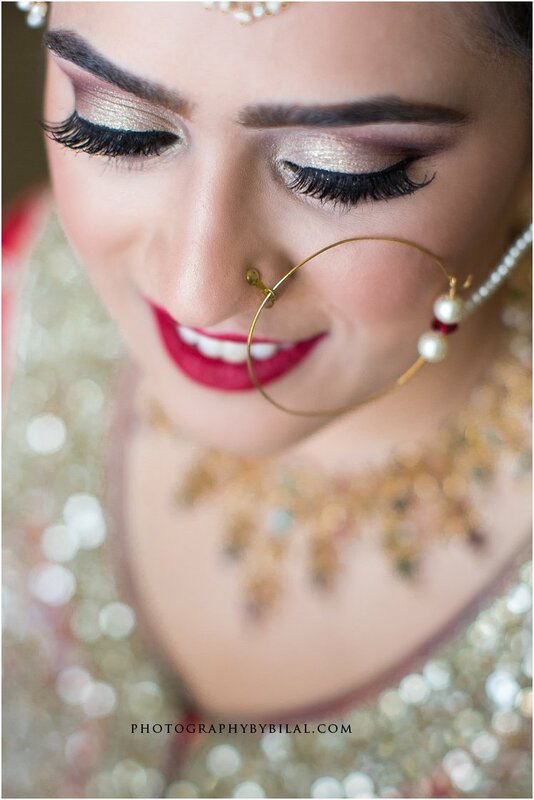 It captures the myriad of emotions that a bride is going through on her wedding day. The shot is especially poignant because the bride is viewed through the sheer veil of her dupatta in the midst of a seemingly private moment. 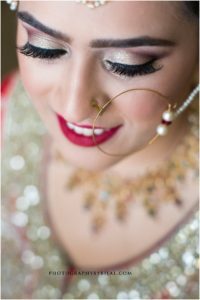 Moving away from the expected life-size portraits, we are treated here to a view of the more minute details that make up the flawless bridal look. 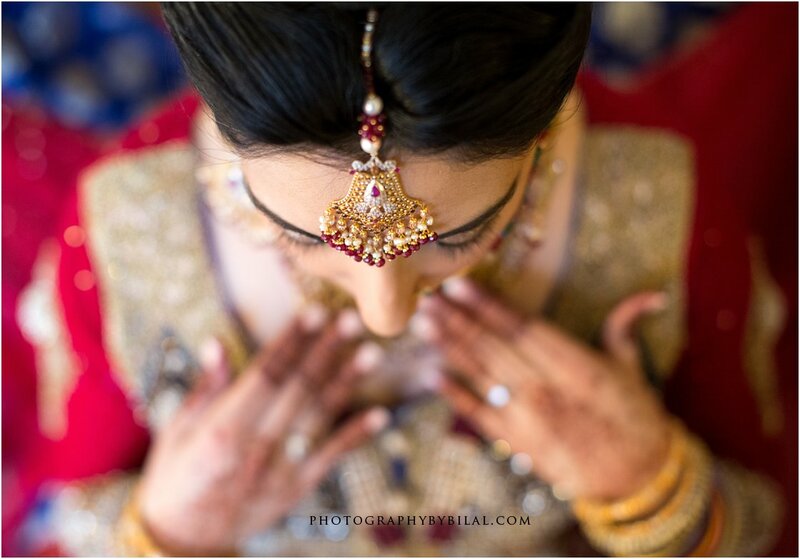 This photo focuses on the beautiful maang tikka worn by an Indian wedding bride. 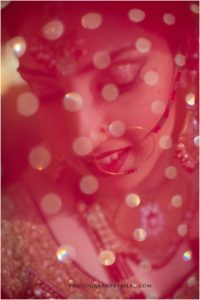 At the time of her wedding, a bride experiences a cocktail of emotions ranging from being happy to start a new life to the sadness of leaving her parent’s home. This mixture of conflicting emotions can be seen in this intimate photograph of the bride on her wedding day. 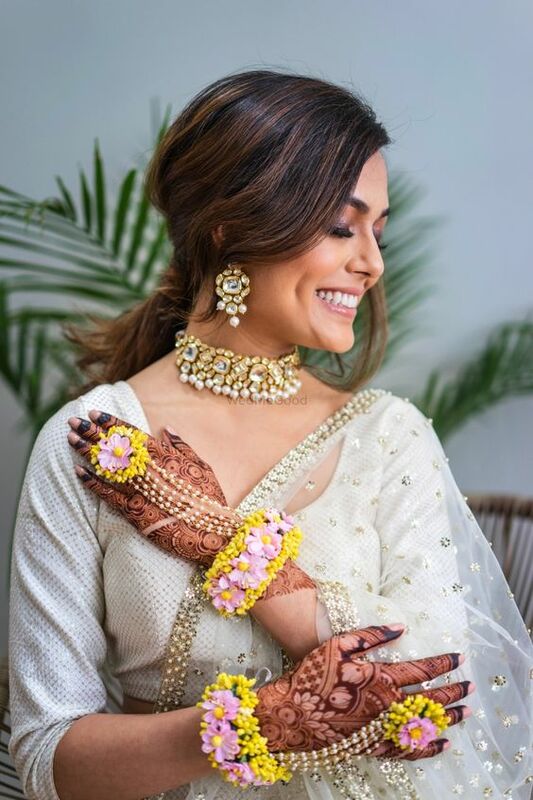 A bride looks like a million bucks on her wedding day just like this particular bride who is oozing glamour in her stunning outfit and jewellery. She is looking like a diva in the true sense of the word. 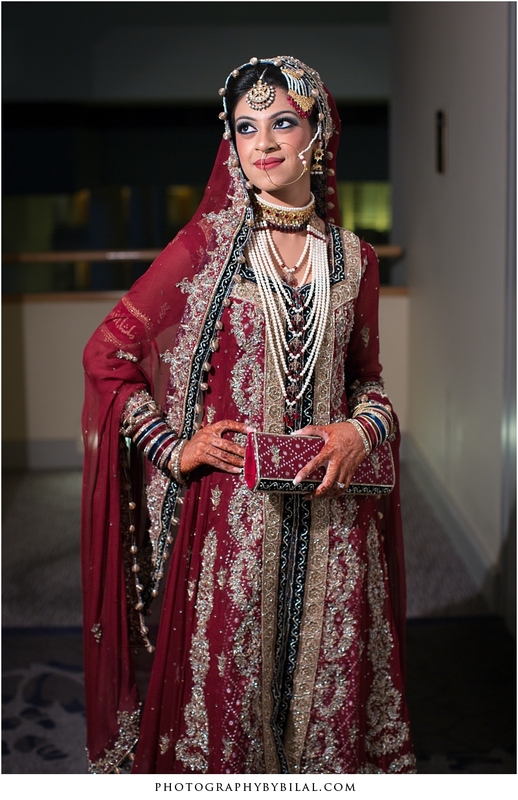 Just as the bride has made an effort to look her best, the cameraman has done his best to capture her . Love is mesmerising as effectively demonstrated by this photo of the much-in-love couple as they appear completely besotted by each other. They don’t need words to express their feelings as the look of love captured by the photographer beautifully gets their emotions across. 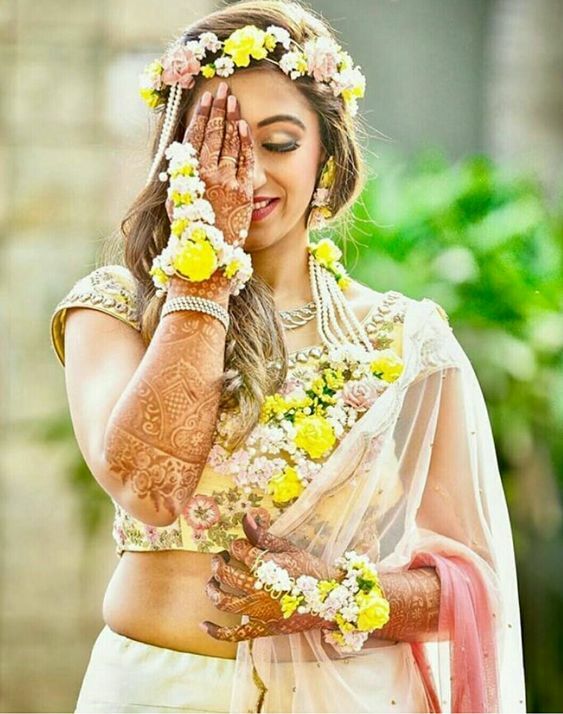 This smiling Indian wedding bride all dolled up in her traditional wedding attire is a delight to look at. Her infectious smile captured with panache is something I love to revel on. Her orange coloured outfit makes a great contrast with the background, but it is her million dollar smile which is the USP of this click. 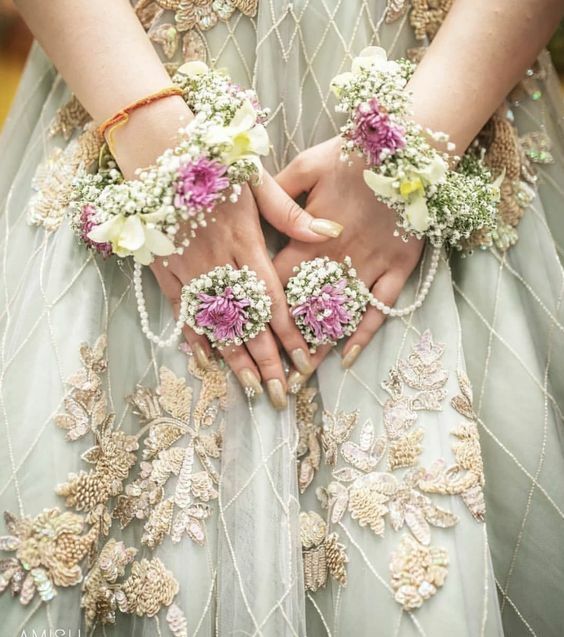 A bride’s friends and sisters play a quintessential role in a wedding. 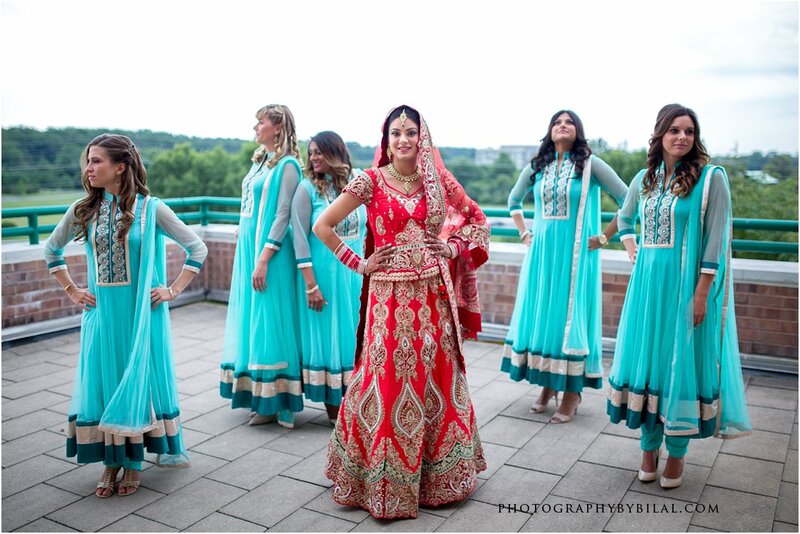 Their importance can be seen from this picture where a beautiful Indian wedding bride takes centre stage and her gorgeous colour-coordinated bridesmaids pose together by her side. This image wonderfully depicts their sisterhood and bond. Many women across the globe suffer from a serious illness called shoe-fetish. And why not, after all shoe shopping gives you immense pleasure. Having a great pair of shoes is a wise investment as it can enhance the beauty and impact of your outfit. Buying the right pair of shoes is crucial; it becomes all the more important when it is your bridal shoes. Yes, your wedding shoes need as much attention as your bridal dress does. For a simple reason, that it must make you feel both comfortable and stylish on the most significant day of your life. 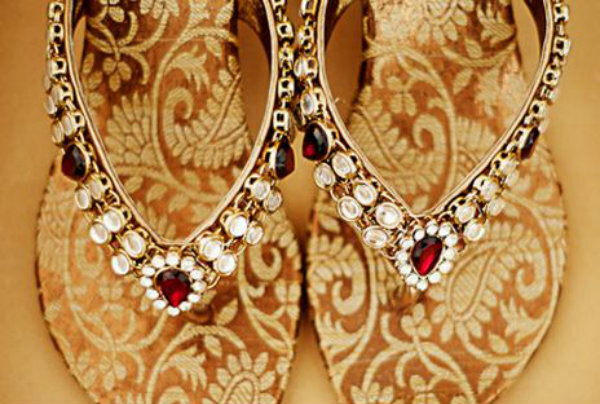 So, let’s have a look at some drool-worthy must-have Indian wedding shoes you can’t ignore. If you are someone who isn’t a big fan of heels or have good height already, you can choose a pair of delicate satin flat ballerinas. These aren’t just comfortable to wear but will also do complete justice for your bridal attire because they are elegant and pretty. With the fine tuning between satin and suede, this pair will surely emerge as a winner on your D-day. 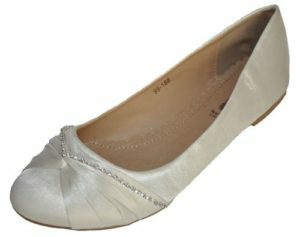 Adorned with different textures and buckles, satin ballerinas look good with both a lehenga and an evening gown. If you are frowning at the thought of wearing a pair of chappals beneath your stunning lehenga, allow me to burst your bubble. Here we are not talking about an ordinary pair of chappals but a pair of studded Indian style chappals. These flat chappals with textured brocade at the base and studs and pearls on the straps are a great choice as a bridal shoe. Designed similar to flip-flops, these chappals are fancy in the true sense of the word, all thanks to its stone-studded straps! Commonly known as Punjabi Juti, these flat Indian wedding shoes are one of the most popular and widely accepted wedding footwear. These are very traditional in nature and have roots dating back to the golden history of India. 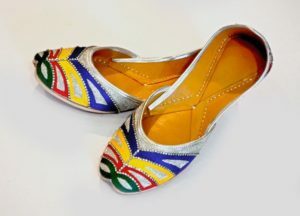 Also known as Mojris, these Indian bridal shoes made of leather are apt for both men and women. The best part about these shoes is that they are available in vibrant colours and are adorned with beautiful embroidery and embellishments. You can match them with any sort of bridal wear, so they are an easy choice for your wedding day because they don’t impart any restrictions. If you want to look tall on your wedding day but not taller than your groom, opt for a pair of medium heels. Medium-sized heels like kitten heels or wedges can give you the right amount of elevation and will amp-up your bridal attire too. Most importantly, they will be more comfortable for dancing in! 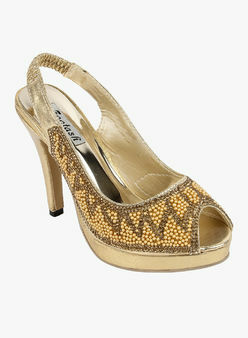 You could go with heels in either cross-pattern style straps or sandal style ones. Embellished with sparkly dangler style studs, stones in white or colours, this pair is a must-have. Sandals are indeed a bride’s best friend. Surely there aren’t any brides who aren’t besotted by the grace and comfort a pair of sandals provides. Sandals come in a variety of styles and designs, from being highly gaudy to having simple straps, there are a numerous options. One can choose as per one’s need and desire. Also, their versatile nature allows you to mix and match them with both your Indian as well as western dresses. Some sandals have designer buckles at the top, while others have fastening buckles at the back for a perfect grip. Also, choices of sparkles be it elegant pearls or shiny stones means they can be perfectly customised for the wearer. Heels give you the confidence of being tall and elegant. And if you love heels be it pencil heels or slightly thicker ones, don’t shy away from grabbing a pair for your wedding day. Get your hands on an elaborated version of golden pumps and stand tall in these beauties. 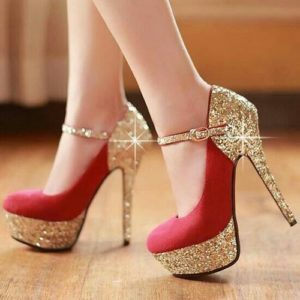 Make sure you have habit of wearing high heels or at least practice walking in heels before your wedding day; else they may give you problems on your special day! 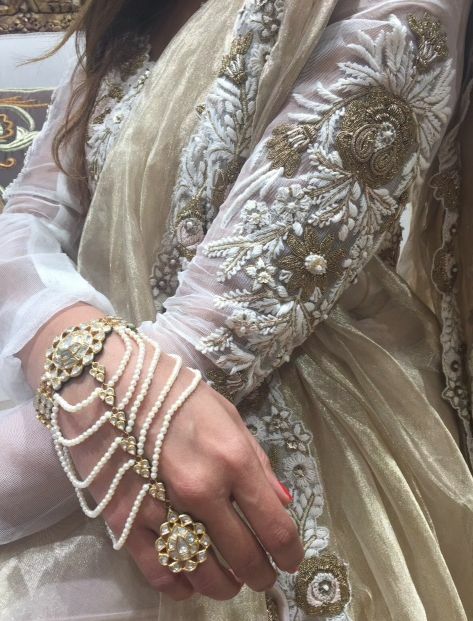 Gold and silver are great neutral colours that go well with any sort of Indian bridal wear. You can’t go wrong by grabbing a pair of pretty peep-toes in either colour for your wedding day. 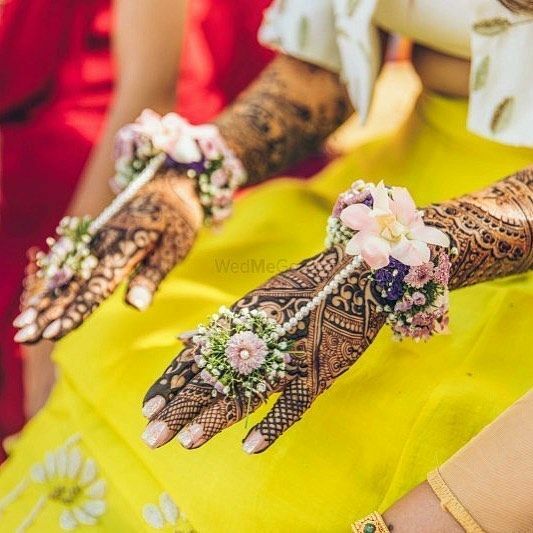 Peep-toes are not just classy but they also allow you to flaunt your mehendi design and let air pass round your feet to avoid sweating. 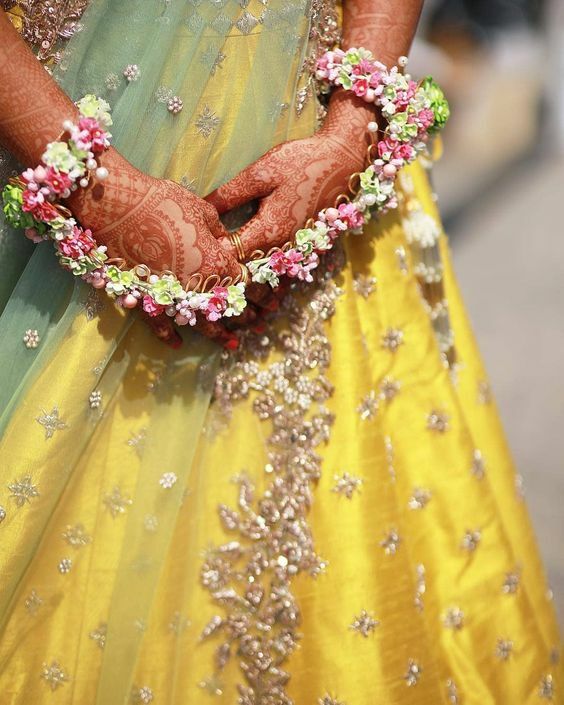 Indian brides love to wear anklets in gold or silver on their wedding day. 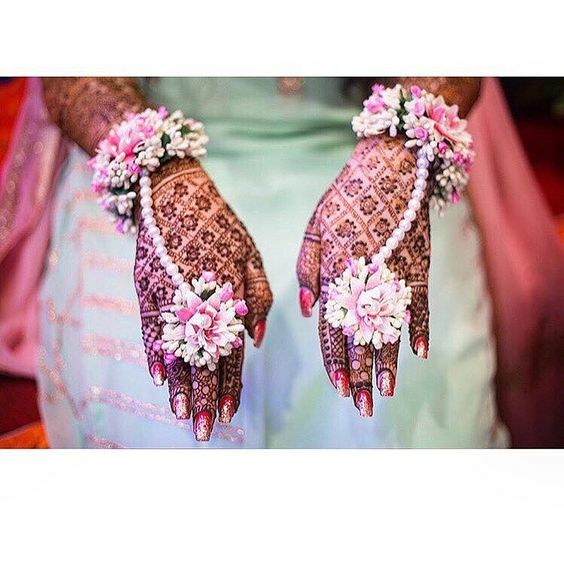 Anklets are one of the accessories Indian brides just can’t do without. That being said, if you opt for ankle strap heels, you can give anklets a miss, if that is preferable for you. Beautifully adorned ankle straps with stones, beads and pearls look graceful and yet minimal so that it does not take away attention from your wedding dress. Stilettos are underrated but one of the must-have bridal shoes. 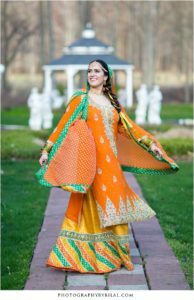 They arguably have a more westernised appeal, but also look great with some of the Indian dresses like Indo-western lehengas or fusion gowns. 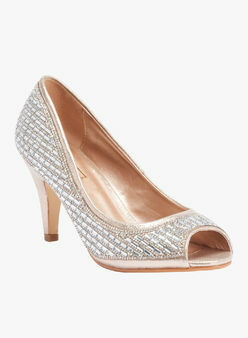 You can get a pair of sparkly stilettoes to go with a sangeet, cocktail or reception dress. This pointed footwear will never let you down! Since your wedding day is all about the rush and excitement, you can at least give your feet some comfort by choosing a pair of platform heels. These are different from other heels as they have a wider base for comfort and required elevation. 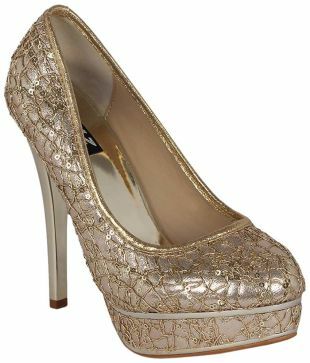 You’re able to choose from a variety of platform heels to go with your wedding outfit. I’m sure you must have got enough shoe-inspiration for now. So, go out and get the ideal wedding pair for yourself! Happy shopping ladies! Image sources: www.pinterest.com, www.fullonwedding.com, www.jabong.com, www.aliexpress.com, www.silver-shoes.net, www.dhgate.com, www.snapdeal.com,www.sweetcouch.com. Indian bridal jewelry plays a crucial role in any wedding and choosing one’s wedding jewellery is indeed an uphill task for any bride-to-be. 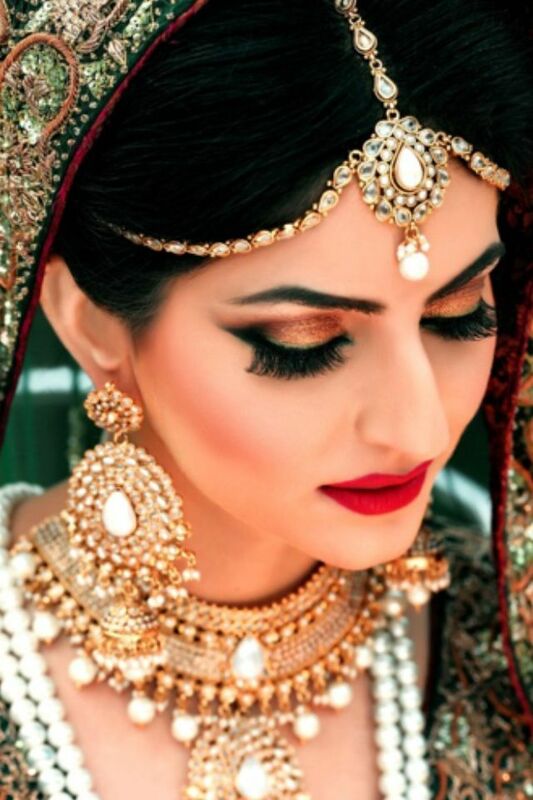 There are so many factors that are to be kept in mind while selecting Indian bridal jewellery. Factors like budget, style, color, current trends and personal taste matters a lot. Apart from these one’s face shape and skin tone are other factors that can’t be ignored. 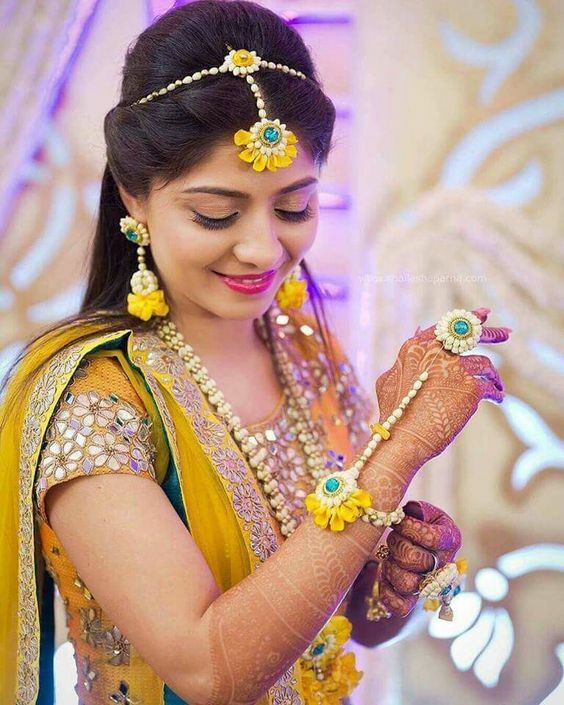 So keeping all these things in mind, we have jotted down a list of pointers that will help you finalise the perfect wedding jewellery for your D-day. Before randomly picking a piece of jewellery, it’s very important that you understand the shape of your face. This will help you choose the right jewellery that will accentuate your facial features and make you look great. Let’s see different jewellery types for different face shapes. If you happen to have a round-shaped face, your safest bet in jewellery selection would be a long necklace that goes beyond the point of your neckline along with the chandelier earrings. This combination will help you offset the roundness of your face to some extent. You can experiment with the shape of earrings be it oval or square or you can certainly pick a pair with teardrops at the end. Also, when it comes to choosing a necklace, both with a pendant or without a pendant will look amazing on a round-shaped face. Just remember you don’t fall prey to the round-shaped earrings or round-cut diamonds, it will make you look like a ball! Oval-shaped faces are a little round and a little elongated. 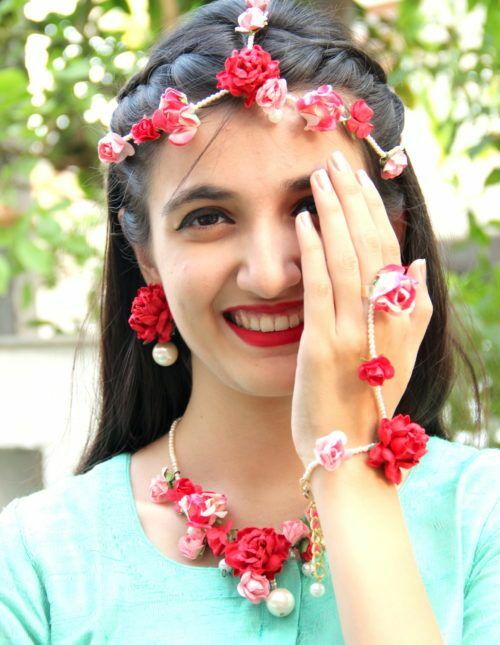 This shape of face is considered the best as it calls for versatility and gives you the option to explore and experiment with different styles of jewellery. 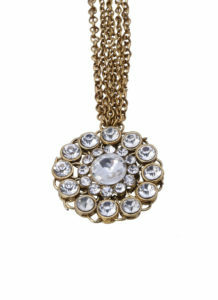 You can flaunt both long and short necklace styles with equal panache without worrying whether it suits you or not. Also, your earring options also increase as you can opt for both hoops and danglers without giving it a second thought. Just make sure you pick the angular danglers and avoid the extra-long style of danglers. So, if you have oval-shaped face, you can enjoy the variety. Generally people with a rectangular-shaped face have more length than others. So, the best way to deal with this shape is by choosing contrast jewellery. Go for choker style necklaces with small or round pair of earrings. You can also choose button earrings as it will give the required softness to your long face. Avoid long earrings on long faces as it will just lead to a fashion faux pas. Needless to say, the heart-shaped face has narrow chin area and wide jawline. This calls for short necklaces or even choker style ones to add a little amount of roundness. When choosing earrings, simply go for triangular or cylindrical shaped danglers. It will enhance the shape of your face. Small earrings or studs are a big no no for the heart-shaped face. Once you have understood the shape of your face, the next thing that you need to pay heed to is your skin-tone. 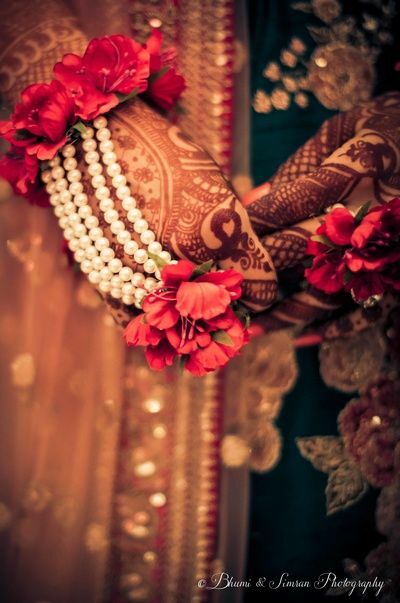 The color of skin also plays a crucial role in selecting the right kind of wedding jewellery. So without further ado, let’s contemplate what style will suit you the best. Cool-tone does not only refer to a fair person but also includes a thorough analysis of complexion. If you happen to have bluish veins that are prominent along with a rosy undertone, you fall in the category of cool-tone complexion. For such people, diamonds work the best. Also, silver, platinum, zircons or white gold will make you look classy and sophisticated. And if you are a big fan of gemstones, you have got ample choices. You can choose from deep emeralds, rubies, sapphires and pearls. These will make you look stunning. This is an earthy tone where your veins have greenish color and you flaunt a perfect golden sheen on your skin. People with warm-tone skin complexion looks great in yellow gold, cooper and kundan jewellery. 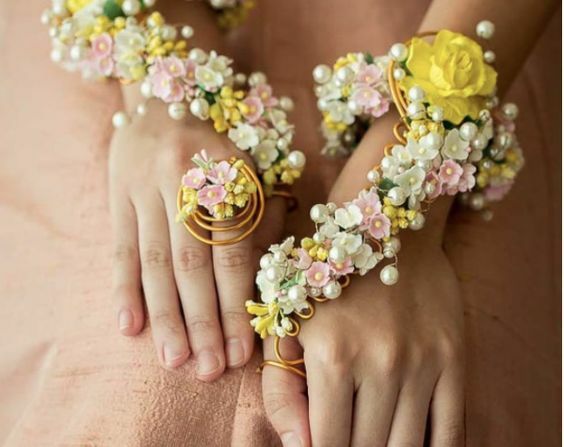 On the subject of gemstones, golden pearls are your best friend. Apart from that, colors like olive, yellow, brown, orangeand turquoise will also suit your skin-tone. 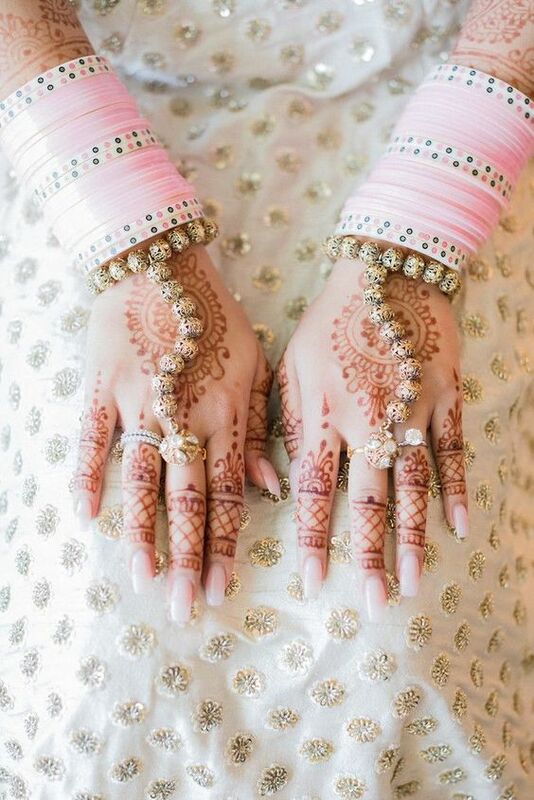 No Indian bridal jewellery is complete without a maang tikka. So, one has to carefully pick the right tikka in order to complete and compliment the entire bridal look. The simple thumb rule that applies while finding the right maang tikka for yourself is the size of your forehead. If you believe that your forehead is broad and wide, simply go for a big and heavy maang tikka with mathapatti. It will give your forehead a great coverage. And if you are someone with small forehead, just pick a small maang tikka to complete the look. I’m sure if you keep these points in mind while selecting your bridal jewelry, you will end up with stunning Indian bridal jewellery that will transform your look from ordinary to extraordinary! Most people who have planned a wedding will agree that when the process of holy matrimony is described as ‘Hooked, Booked and Cooked’ it is very succinctly and accurately depicting the state of mind of the soon-to-be hitched couple. To say there are a million decisions a day to be made is putting it mildly and it only gets more complicated when you factor in having to agree with your significant other (and sometimes his family too) on everything, topped off with the bane of all wedding planning efforts – Unsolicited Advice! Throw in a some emotionally charged high octane disagreements with your to-be, friends and siblings who have never planned a wedding before either, Google searches with 10,000 plus results on every query, finished off with quotes for everything far exceeding anything you could afford to pay and chances are that you’re ready to just give up and make a run for it to a land where there is no word for ‘wedding’ in the local vocabulary. If you’re reading this and screaming… Yes! Yes! 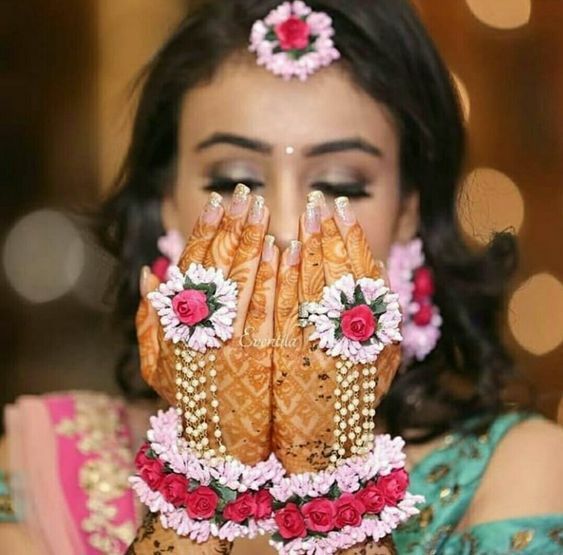 Yes!…for every point and are also planning an Indian wedding then there is little doubt that you have a serious score to settle with Google for being completely biased and sending mostly western wedding inspiration websites your way. 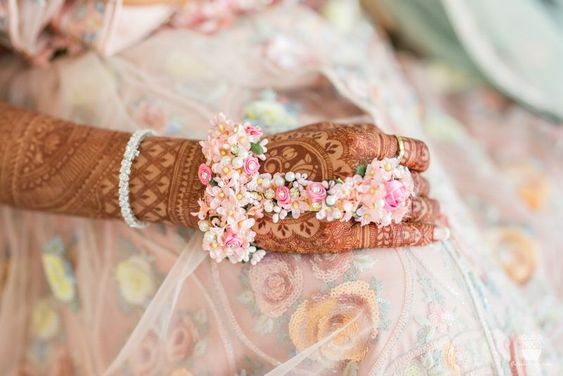 Few bridal websites cater to Indian wedding planning and fewer still are even worthy of your precious time. 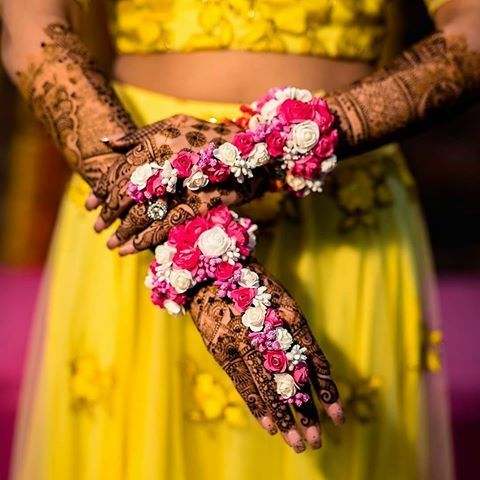 However if Google brought you to this page then you might as well kiss and make up because this article sums up the best wedding websites to help your navigate through the strenuous Indian wedding planning waters. 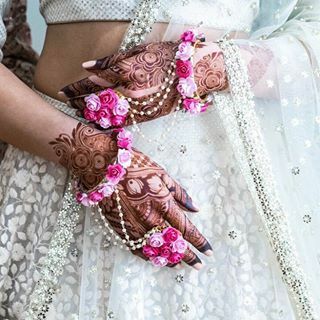 This little hidden gem of a bridal website is the ultimate resource for uber stylish and utterly cool Indian wedding inspirations. Browse through their vast and all encompassing sections of photos and real weddings for some truly unique ideas. 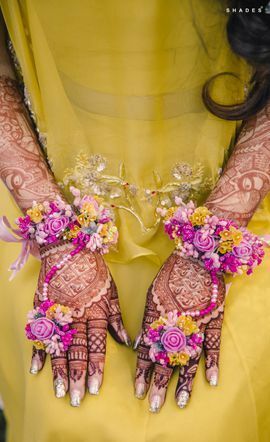 And to translate those wedding fantasies into reality search through the list of talented featured vendors divided up by Indian and international locations. Consider it Wedmegood’s younger cousin that is more focussed on actual planning versus wedding inspiration. Find everything from astrologers to dieticians to cooking classes based on your Indian city of choice plus some very nifty little tools for budget management, checklists and notes. The website also features some interestingly written articles with tips and tricks that will come in handy any time. 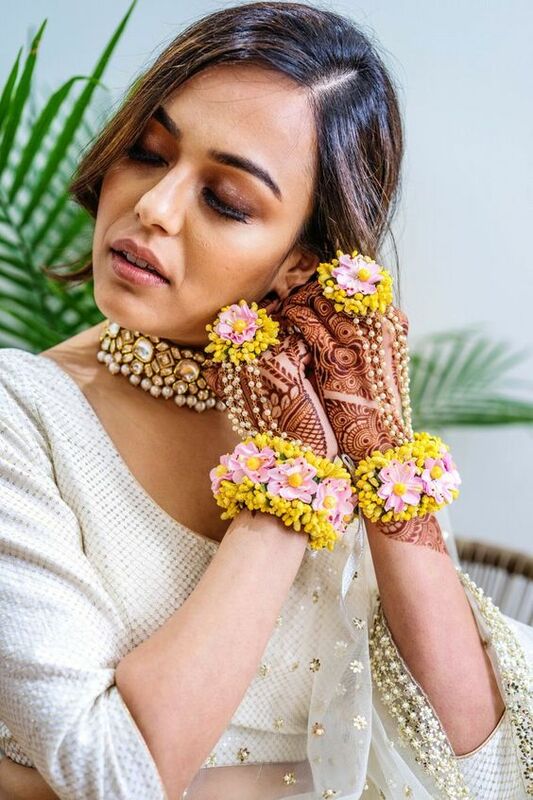 For those outside India, the website also features upcoming wedding related events and exhibitions happening all over the country so you can plan any shopping trips around the time. For those days when you’ve had enough of all the logistics and technicality of wedding planning distract yourself with undoubtedly the best bit of getting married – SHOPPING! 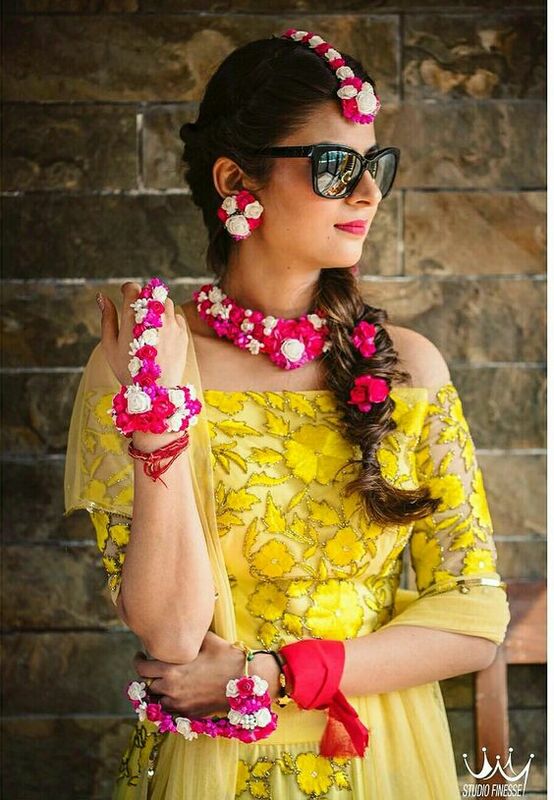 Strandofsilk.com features luscious Indian designer wear from fashion favourites like Anita Dongre, MandiraWirk and Narendra Kumar for the luxefashionistas. While boho and kitschy labels like Myoho, Sougat Paul and The Purple Sack are for the spunky princesses who like their fashion with a little bit of an earthy edge. Strandofsilk.com makes Indian wedding shopping online an effortlessly smooth process so you don’t have to give up that long awaited and much needed spa weekend with the girls because you’re out last minute shopping. Gift registries are a borrowed but much appreciated wedding custom from western weddings that has every modern young couple breath a sigh of relief. Lets face it no one wants yet another glass casserole or old school Indian cooking appliances that take up way too much space in an already too small first home. Catering mainly in the UK, Weddingshop.com allows couples to create a gift registry that is completely personalised and useful to their future lives as man and wife. Stunning jewellery headpiece! Perfect for an Indian wedding!